This event marks the very beginning of my KISStory timeline and is stranger than fiction …but true. It was “Dr. Love”. I can even remember where on the ride exactly I heard the opening riff. The cowbell clank, the simple urgent heavy guitar riff and the voice of the demon were like nothing I had ever heard on my mom & dad’s Beatles, Stones, Kinks or Dylan records. I then and there declared it mine and was advised / rebuffed by mom that “one purchases such things by saving their allowances and going to the record store”. He said, without hesitation, “yeah, sure, why not?”. Pretty cool for a forth grader people. As we walked down the hall towards the buses I called out to Michelle …….she was like “yeah … what?” I said “I have to tell you a secret” and she was like “yeah…. What?” ……I leaned in clumsily and whispered quite literally “pppsss –ppppssss—pppsssss”” and then KISSed her on the cheek. It was exhilarating but it didn’t go well. She screamed Yuck!”. Everyone heard it and looked over to see. On the ride home I sat alone on the bus in anguish and tears. When I got home, my mom had bought me a Valentine’s Day gift. 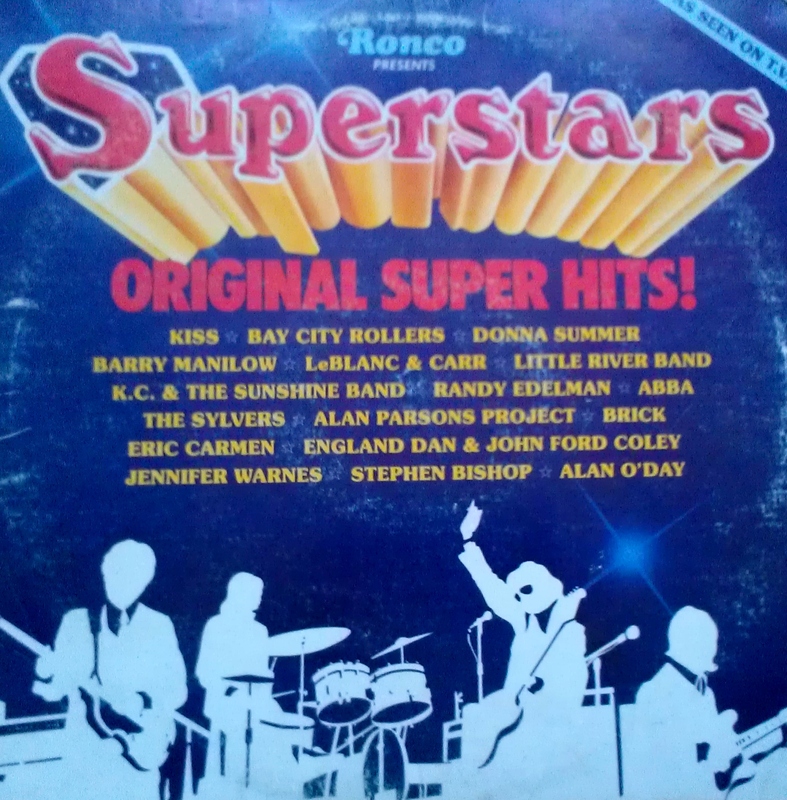 It was a Ronco Presents hits record called ‘Superstars’ that included “Dr. Love” by KISS but, given the gravity of the situation, I was still inconsolable, This was especially so when the weepy Bay City Rollers “The Way I Feel Tonight” came on and reduced a love sick 4th grader to a puddle. Today Michelle and I are Facebook friends and I would tell her she is on my KISStory timeline but fear it would be a step backwards. Sometimes mom knows best.